If she was recovering well, there would be stories, photos, etc. But since there isn't, the silence is deafening. Go figure, the news media and liberals are so consumed with the SCOTUS they would scour the globe for proof that Kavanaugh was guilty of what they wanted him to be guilty of, yet another Justice, their Justice, is MIA for weeks now and there isn't even a peep from them. I want Trump to get to appoint a 3rd judge. The left would go mental. There is validity in hiding her health from the public for the very reason of Trump and a 3rd nominee. It would kill the progressive movement in the courts. True. I feel the only recourse now is to have the Feds raid her home. Relating to a meme VoxDawg somewhat referenced a page or two ago, I wonder how this image was broadcasted on Fox News last Monday. It was up for about three seconds, then taken down with no explanation, only later on to say it was "an accident" of some sort. How could this graphic even exist? 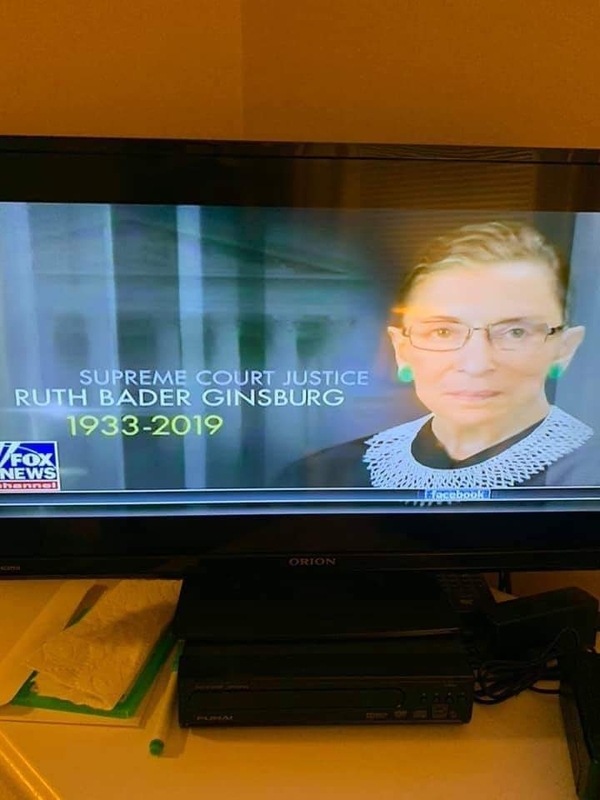 Who thinks the MSM prepares graphics like this "in case" someone is dead, or "in preparation" of someone dying? Is there any doubt that if she was an R appointed there would be news cameras breaking into her house 24/7 demanding updates? If she doesn't show up for the SOTU, her death is confirmed. As this drags on, it become more obvious that something is being covered up. 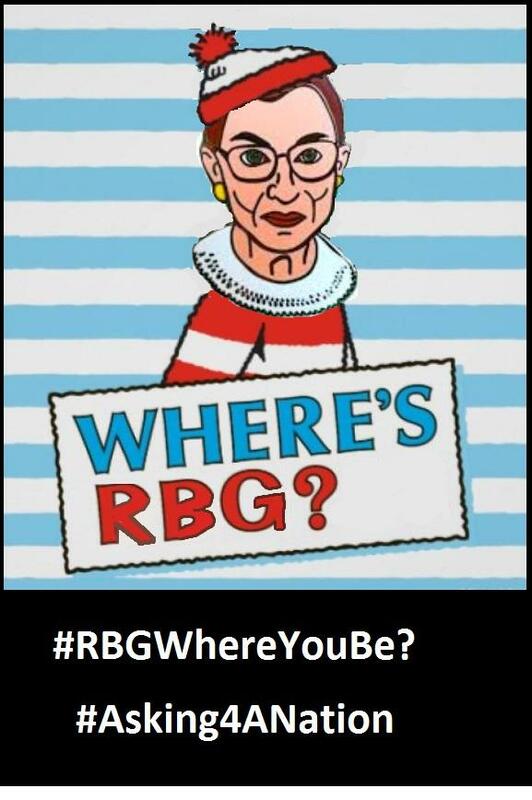 If she is a no-show for the SOTU, we need to demand an update on her condition and whether she is fit to continue as a Justice. If she's cognizant/alive, it's fair to start requesting a weekly fresh image of her reading the NYT/Wapo, unless/until she goes back to work. Twitter can’t stop this. Trolls have effectively got the left questioning this as well. It's no secret that all major outlets have an open-ended obit package on almost all politicians of a certain age. I referenced it in my thread about the graphic last week. It just shortcuts the process up to the point you finish the compilation. 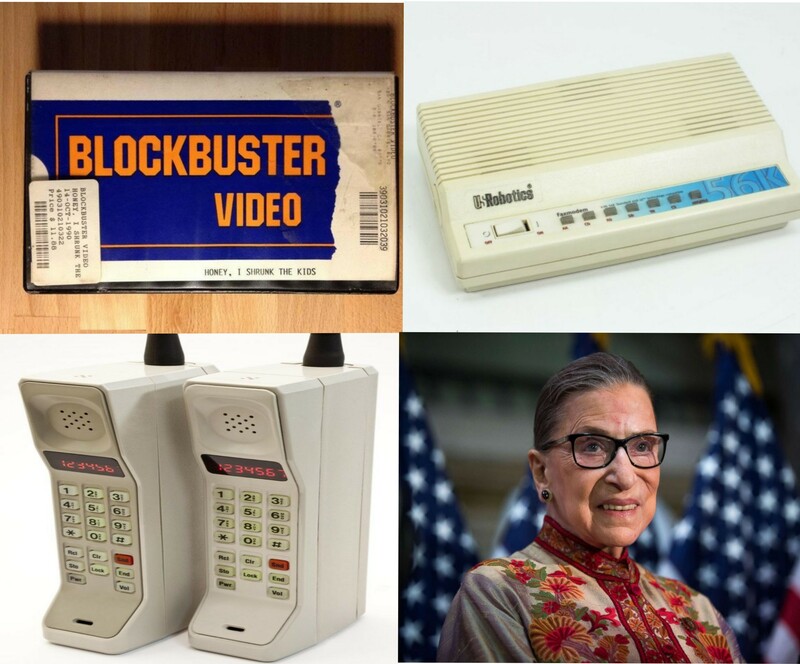 In this case, RBG's career to "now" (whenever they finish the edit) isn't going to change, so you drop in any notable developments since it was last updated and roll with the shots of the sky screamers leaving flowers on the steps of SCOTUS once it's official. In fairness, they have those ready for most at-risk celebs, too. I went out on a date with a girl who was an editor at CNN over a decade ago, and she said they had them locked and loaded for Robert Downey Jr., Britney Spears, Charlie Sheen and Lindsay Lohan at the time, too. The big question is why FNC had that one queued up in the graphics package in the midst of RAMPANT speculation about her health. Until I see her moving under her own power, I say it's fair game to question if she's even vertical. (Well, as vertical as she can get, these days). Maybe they do some kind of voodoo ceremony and can wheel her out for SOTU, next week. Barring any new bombshell that POTUS decides to drop during the captive audience portion of the speech, her attendance is the big story, IMO. Hmmm... Looks like someone has taken James Woods up on his question.